Rap metal is still alive and well, as Heavy 15 headliners Intellectual Morons showed. The hour was late and much of the crowd’s energy had been spent jumping around to Weeper and Mensheng 門生, but the sweaty punters dug deep for one final climactic set. Instead of the strain of rap metal that favours DJ scratches and misogynistic lyrics, a la Limp Bizkit, IM favour a more forceful and directive approach, with most songs clocking in under the three-minute mark. 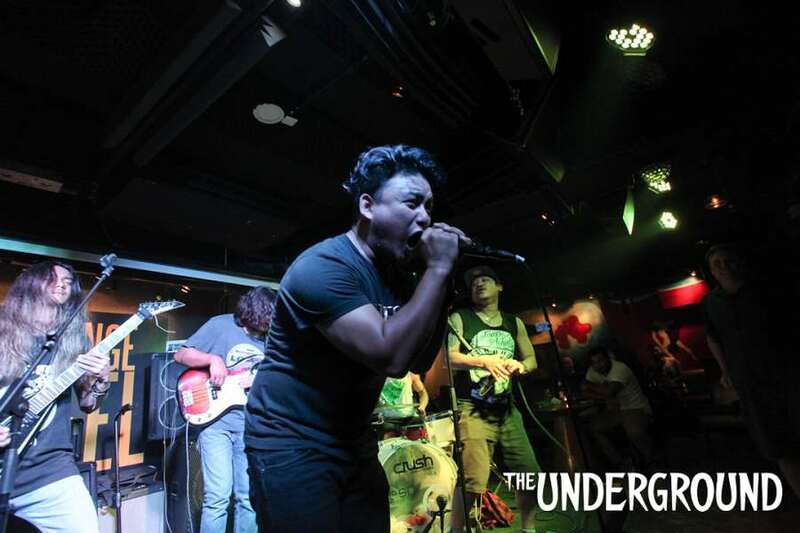 Here I Come was short and sharp, vocalists Dipen and Suyog performing with the same kind of contrasting energy as Linkin Park’s Chester Bennington and Mike Shinoda – only turned up a lot louder. With word-perfect precision and snarl, rapper Dipen tore through rapid-fire verses, while Suyog took care of the soaring choruses and death growls. The audience quickly crowded the dancefloor for Lard Aagi Bard, and needed no encouragement to jump around and headbang for Man On My Own, a song about “breaking chains” with chest-beating lyrics, furiously galloping tom rolls and Metallica-esque guitar compression. Stand Alone – a song the band wrote “when we were skinnier” – was a bass-heavy and brutal closer of thrashing cymbals and snappy verses and roared chorus. The night could have ended there, but IM decided to treat the faithful with exuberant covers of Slipknot’s Before I Forget and System of a Down’s Chop Suey. They lacked the polish of the originals, but the overjoyed crowd was too busy singing along and bashing into each other to care. It was a memorable performance – even if only for the novelty of it – and something about all the smiling faces filing out of Orange Peel at the end of the night said it won’t be too long before this band’s surfaces again on another bill. Perhaps it is the glitz of the Hard Rock Cafe, but for a band to spend the first few minutes after they’ve been announced tuning and sound checking just does not seem right. However, with that out of the way, Intellectual Morons did what it does best – whip the crowd into a frenzy with their powerful rap metal… It is sometimes quite quite easy to forget that the backbone of the band consists of only one guitar, one bass and the drum, the liberal of overdrive and clever bass riffs and fills creating a sound that belies the band’s instruments. The set was delivered with enthusiasm which translated well to the audience. If pressed, I would sincerely suggest to the band… get a tuner!! If Trash21 hinted at funk, these guys wore it on their sleeves. They follow, quite closely, a Faith No More/Primus sound, with equally strong metal, funk and rap influences, and were the most original band of the night (by a good distance). Their sound is bass-heavy, and yet has plenty of levity, provided by the guitars. Good funk guitars typically have a persona with a ‘sense of humour’ (it’s very difficult to express exactly what I mean, but if funk guitars were a person, they would constantly have a very amused, slightly sneering smile on their face), and guitarist Sarad’s tunes definitely have that quality. Because they are heavy without actually being ‘metal’ they had the advantage of giving the audience something they hadn’t heard all night – consequently, they got a huge response from the crowd. The rapping, I’m not a big fan of, but it’s the kind that doesn’t instantly antagonise people who don’t like rap. It’s good and consistent and uses the looping rhythm of funky metal very well, and that’s good enough. There’s a bit too much Hendrix in the compositions, though, and this can be overpowering at times – like withRock the Party which just sounds like a slight variation on Purple Haze. My Life had a guest vocalist, Sandeep, called onto stage who supplemented the rap with fantastic, more traditional vocals. There were also the gloriously distorted with the epic feel, but no overt force – something like Soundgarden. The lyrics were really cheesy, but the other elements were so good that you didn’t mind it. Goodbye had very much of an AC/DC sound, but the solo adopted the idly probing style of Zappa. They also did a good interpretation of We Will Rock You, adding (along with other things) some pretty good, non-cheesy rap to it as well. The demand for them was so big, that it actually merited an encore, and they redid the very funky-with-bits-of-classic-rock-sprinkledHere I Come to end a really awesome night of solid music, and some of the best audience participation that I’ve seen for a long time.